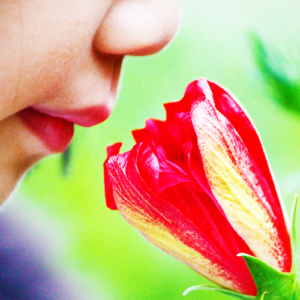 Our sense of smell may be the most important of our senses. The olfactory resides above the top of the mouth—way up under the primitive brain that is referred to as the Serpent Brain. Our survival instincts reside within the primitive brain. The Olfactory bulb works non-stop from birth until death, whether we are asleep or awake. This silent watch-dog has no voice of its own as it works with the subconscious mind. When the hairs on our neck stand and we get a cold fear of danger, we might have sensed danger through our olfactory sense. For instance our olfactory system never forgets the smell of mommy. 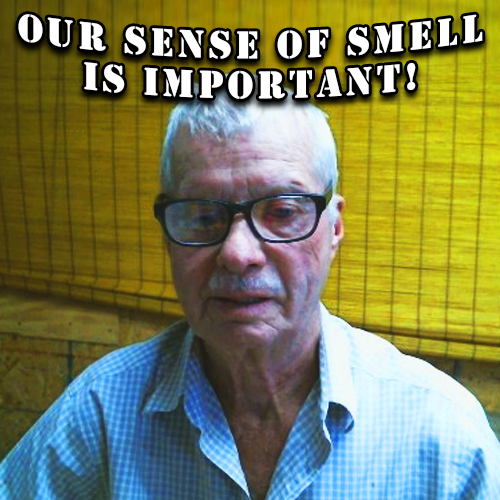 If our prospective mate’s smell reminds of Mommy, the olfactory system tells us she is nice. A dog can smell pheromones from 4 miles away—we aren’t quite good. Although I have known folks … well enough said.